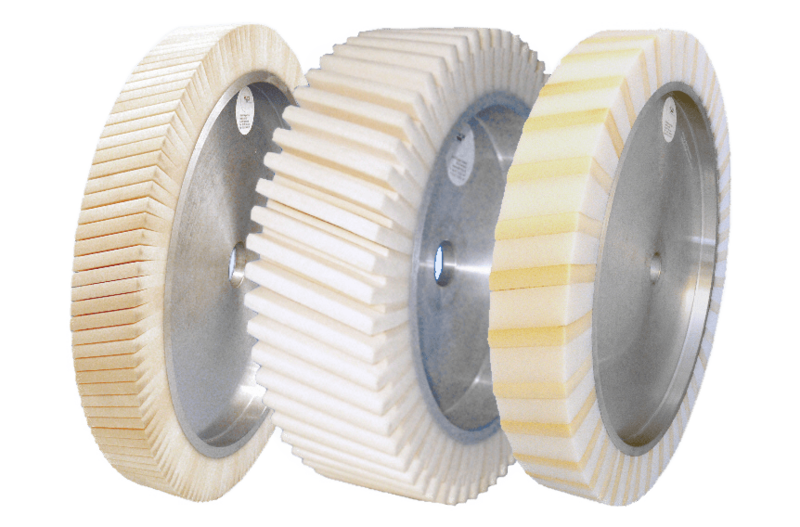 Uniformly wide polyurethane lamellae are attached in precisely established spacing while plastic foam lamellae are attached in the spaces between them to the aluminium hub of the frequency damped contact wheel FAPI-KS/V FREQUENCY DAMPED. The height of the coating resp. the length of the polyurethane and plastic foam lamellae can be varied depending on the application (standard: 25 mm). The positioning of the lamellae dampens the howling sounds in the upper frequency range in the contact wheel coating during grinding so that they are no longer audible to the human ear. 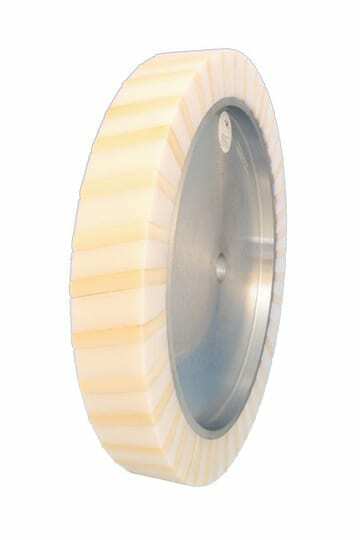 The contact wheel FAPI-PUS/KS frequency damped achieves a significant reduction of the noise level in the workplace and so contributes its share to work safety. Our contact wheels FAPI-PUS/KS FREQUENCY DAMPED are used in particular to achieve a high-quality finish on heavily profiled or heavily rounded parts in a very short time.